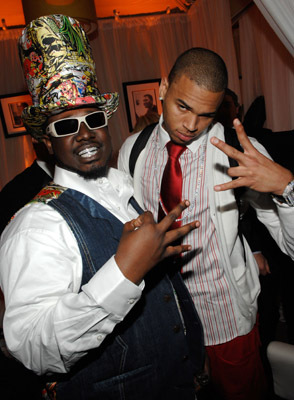 Here’s a new video from T-Pain called “Freeze” featuring Chris Brown. There’s been a whole lot of cgi usage in recent videos, whats up with that..Are the artists feeling the recession woes as well..
Chris Brown better not ever mess up with Rihanna cuz judging from this song, she gonna try to body him. Cool song though, I guess.